Who said you have to be rich to feel royal? We have a few treats in-store for you Sydney-goers. 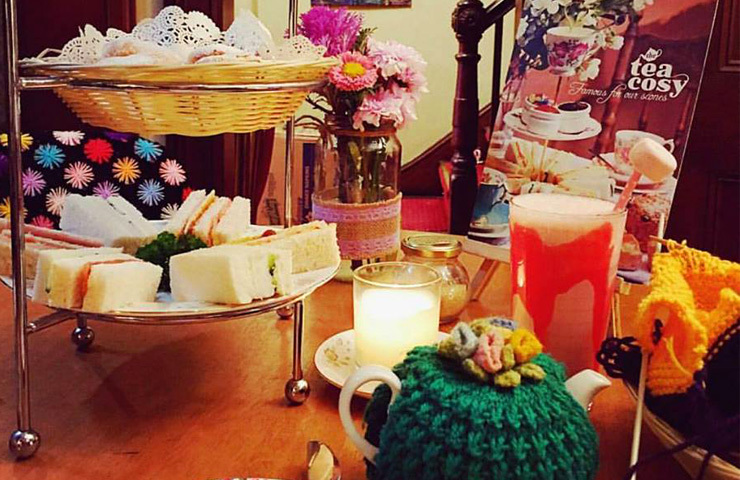 Get your pinkies at the ready as we present to you the top High Teas across the City. As a fellow pommy, I have had my fair share of scones and afternoon teas in my time. I hate to blow my own trumpet, but I’m pretty much a pro in this area of expertise. Prepare to be blown away by elegant fancies, adorable crockery and finger sandwiches that will leave you wanting more. Gunners Barracks has ticked all the right boxes for an afternoon away from the hustle and bustle. 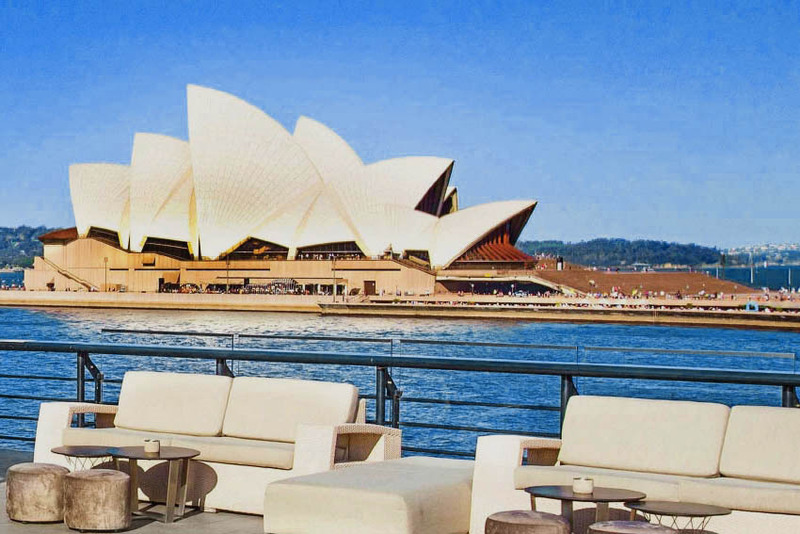 Hosting stunning panoramic views of the waterfront and the distant CBD, you will not find a better place for serenity – and you haven’t even seen the menu yet. 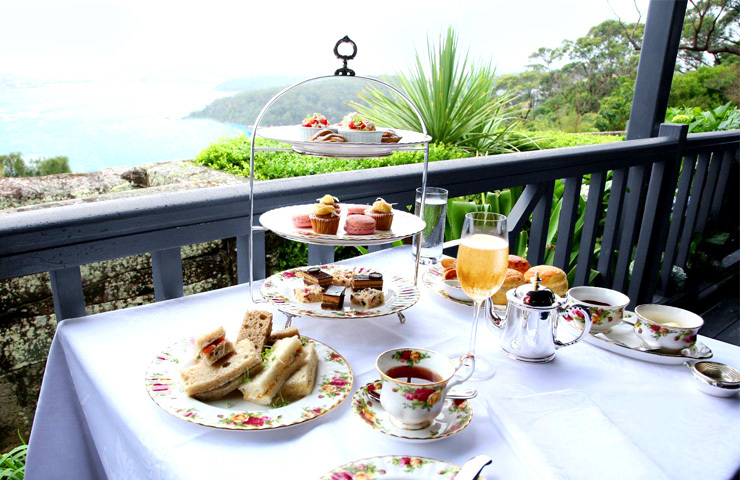 The only question you will be asking yourself at Gunners Barracks is which type of afternoon tea would you like to indulge in? With the choice of traditional, sparkling, cocktail or champagne, – you will need the whole afternoon to make your decision. Served on the Royal Albert Bone China with a gold leaf trim (whatever you do, don’t drop a plate), you will find a selection of fresh finger sandwiches, warm house-made scones, delicate pastries and graceful bite-size cakes all complimented with one of the many Ronnefeldt teas on offer. This luxury lifestyle can become a guilty pleasure, with a price tag that isn’t going to break the bank. A traditional afternoon tea costs a mere $50 per person, which is well worth it for the priceless Instagram photo you will be posting later! Walking in to The Tea Cosy is like walking in to your Nannas house; an instant warm welcome from the friendly staff, a familiar smell of home-made cooking and freshly brewed tea, along with ornamental trinkets hidden deep within the nooks and crannies of the building. The menu hosts traditional British comfort food, with a variation of sweet and savoury treats to get your mouth watering. The heavenly scones are freshly baked on premises each morning, and are served with gourmet Australian made jams to compliment the flavours. They offer an alternative to a high tea called the “Tea Cosy Taster” – a perfect combination of scones, sandwiches and tea, enough to feed a small army. In each bite of the heavenly offerings, you can taste the Irish heritage overcoming your taste-buds. A selection of traditional black teas, flavoured teas and herbal teas will keep your thirst quenched and body warm through these cold winter months; and If you can’t get enough of the flavours you have experienced, everything from tea cosies to gourmet jams are available for purchase in the shop. While you’re here, take a dip into the communal knitting basket and have a go at knitting your own cosy. Sadhana Kitchen provides all the luxuries without the guilty feeling. Everything that is offered on the menu is 100% plant based and gluten, dairy and refined sugar free. I know what you’re thinking, how much can you make out of a plant? Well apparently, quite a lot. 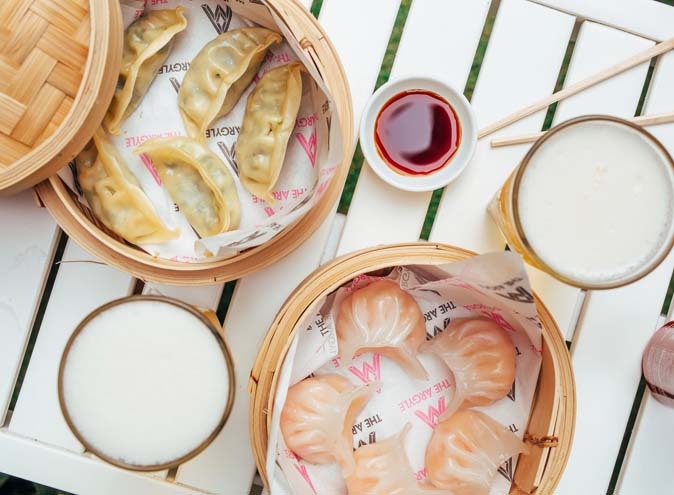 Along with their extensive menu of breakfast goodies, lunchtime treats and afternoon snacks, they also offer a vegan 7 course degustation and a raw high tea. The high tea option is not like your everyday tea break, it is 3 tiers of wholesome goodness put together by a combination of savory and sweet treats. Not only will it provide you with a full stomach, it will also leave you feeling energetic and well nourished. 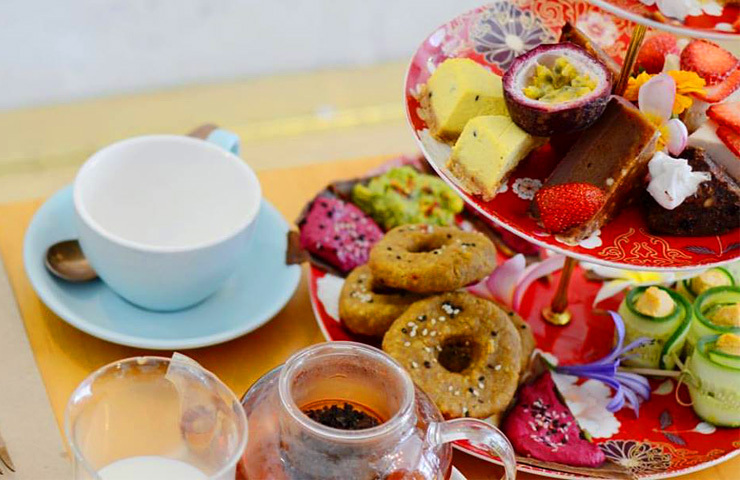 Sticking with a traditional style of high tea but with its only added hippy twist, the high tea is definitely something you want to experience, vegan or not. The delicately crafted oriental teapots and crockery compliments to the clean living vibe the whole menu gives out. Treat yourself, and treat your body with Sadhanas Kitchen. 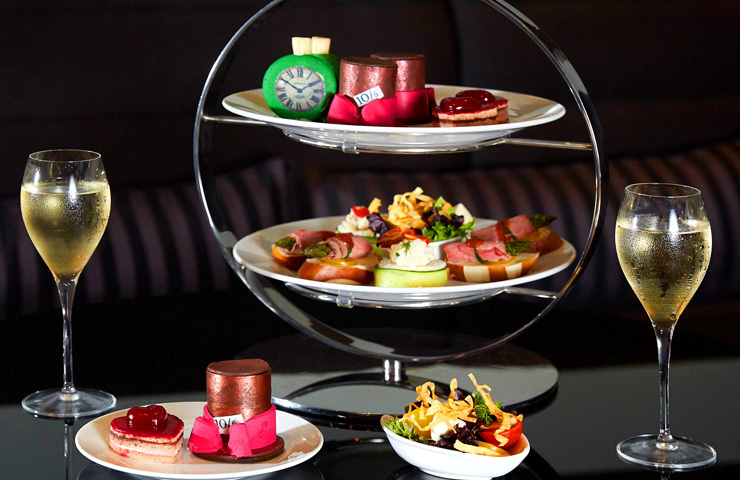 The Westin Sydney offers a High Tea so eye catching, it’s a struggle bringing yourself to eat it. 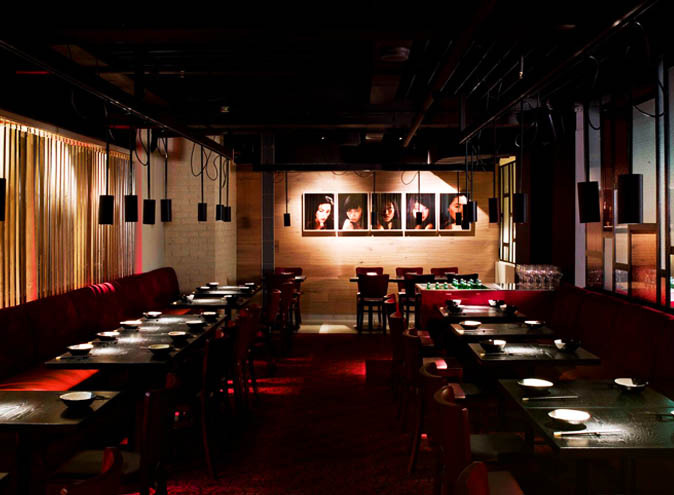 The menu hosts 2 exceptional choices, Heritage and Mad Hatters. This bares the question, are you feeling fancy or daring? The elegant heritage afternoon tea offers a selection of savoury and sweet snacks, but these are not just your average finger sandwiches; they are elegant flavoursome bites which will leave you wanting more. And of course, we haven’t forgotten the scones, and we definitely haven’t forgotten the to-die-for raspberry chocolate jam. If there hasn’t been enough choices for you so far, you have one more to make, a traditional tea, a superfoodRX cocktail or a glass of the finest Ruinart champagne? If you are feeling a little daring, and fancy a trip down the rabbit hole, then the Mad Hatters afternoon tea is the one for you. Once again, offering a combination of savoury and sweet goodies, but this time with a little bit of a twist. Expect a plate full of decorated treats in the shape of hearts and mad hats to compliment the Alice in Wonderland theme. If the flavours and spectacular sights is not a big enough adventure for you, why not enjoy a “Drink Me!” cocktail to send you deeper down the rabbit hole? Don’t be late though, as the afternoon tea is only available from 12-6pm daily. If you are going to do High Tea, you might as well do it right, and what better way to do it right than being numerous stories above ground, literally having a High Tea? 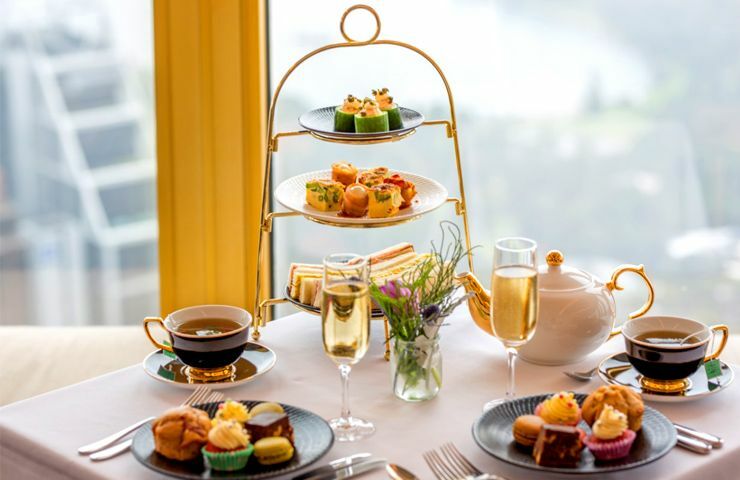 Studio Sydney Tower has the best High tea offering by far, as you will be dining 305 metres above ground watching over Sydney Harbour and beyond while enjoying the elegant creations on offer. Could you honestly think of something better to be doing right now? I know I couldn’t. If the view doesn’t knock you off your feet, I’m positive the food will. Hosting an indulgent selection of savory nibbles, including quail egg and bacon sandwiches, croque monsieur and pulled pork sliders. As well as a modern interpretation of sweet goodies, like mini cupcakes and assorted macaroons, you will not be leaving here hungry. 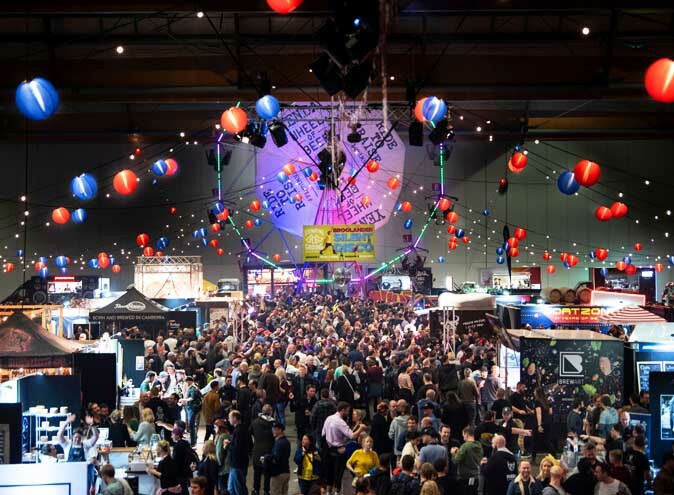 What better way to enjoy this experience than with a glass of champagne in your hand. The highest high tea is the perfect combination to celebrate a special occasion, or impress the person of your dreams; contributing a breath taking view and exceptional food. So get your booking in quick, as this indulgent affair is that exclusive that it only happens on the last Sunday of every month. I promise you, you will be flying high after this experience so don’t miss out! This High Tea guide will give your pinkies a workout throughout this cold winter, and what better way to warm the bones than a bottomless pot of tea and freshly baked goods.